Most people considering an online product purchase want to see reviews. With that in mind, I'm here to talk to you about Zazzle product reviews since I am encouraging you to check out my photography and digital artwork that I share on products in my online store TheAspenStand at Zazzle . 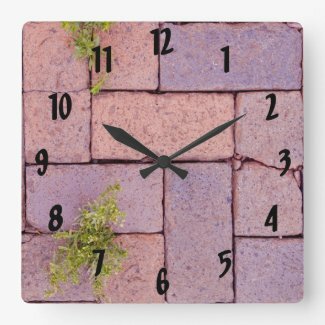 To help explain this, I'm using some screen shots from my product page for this Pavers & Weeds In the Cracks Wall Clock so you can visit that page (simply click the image) to see what I've explained here. You could see different reviews when you visit the linked page because more purchasers of wall clocks may have recently offered new reviews which updates that section. In case you hadn't noticed, Zazzle shopkeepers have their own Zazzle storefronts featuring their special work. All those public products are also in the Zazzle marketplace. So whether you find a product in the marketplace or in a shopkeeper's store you will see reviews for the product (eg wall clock) but not necessarily a review for the specific design on that product page. The reviews are located mid way down the page. You’ll first see a review bar graph (like the image at right) with some other percentage information to the right of the graph. You can see that the reviews are set at Most Relevant in this screenshot but you can also set it for Most Helpful, Newest, Highest Rating and Lowest Rating. When you click on a different option, you are likely to see five reviews below this graph drop-down menu. One drawback to the review system is the design or photography isn’t available on some product reviews. I’m not sure if this is due to personal information added to those products during customization. In those cases, you see a blank product but you still get the written review about the product type. I recommend you click one of the other drop-down options below the review graph. I clicked Newest where I found one of the five reviews which I selected to show as a screenshot below. I have discussed with other shopkeepers about how the product image of the 10.75” square clock is slightly dull but we've read multiple reviews explaining where customers said their particular product is brighter than how it appeared online. When on the wall clock product page, if you click on one of the round clocks in the right column (if the shop keeper is offering those with the same design) you will see a brighter image which better represents the colors. You may come across a page where the product you are considering has a review of that actual designed product such as this Guinea Pig photograph refrigerator magnet where you read a bit more information about the design. 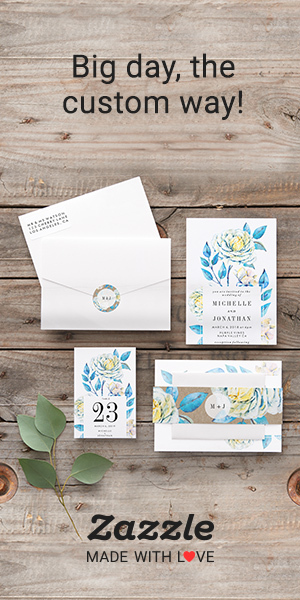 After purchasing your product from Zazzle be sure to complete your review. You should receive an email from Zazzle soon after your purchase requesting a review so once you've received your purchase help others make their decision by providing your feedback. That will help someone who follows you in considering a purchase of that same product. Did you check reviews for your most recent online purchase? How was this post most helpful to you? Once you leave a comment for the questions above, I thank you for visiting TheAspenStand Store at Zazzle to see what gift ideas and paper products I offer. Thanks and check back for more helpful information. Hey, I learned something new! Didn't realize you could sort reviews. Nice job, Patrica, thanks for providing this info! Thanks Tracie. So glad I could shed some light on that. Cool article, I didn't know about sorting! Thank you! Thanks for checking out the post. I'm glad I was able to help.